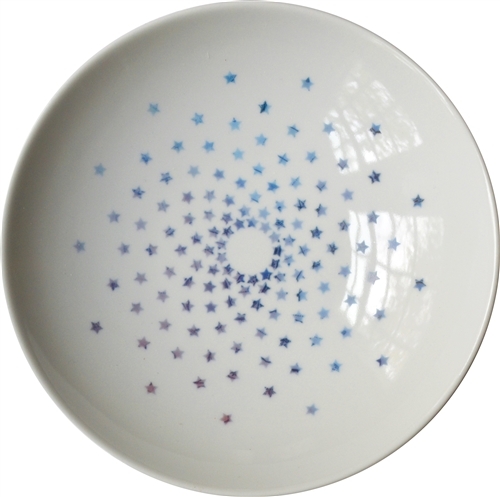 Colorful stars in unique, one-of-a-kind patterns sing, celebration on these 8.25-inch porcelain bowls. Perfect for any gathering, Celebration Stars will add something extra special to your holiday table. Also available in a warm palette — Persimmon. Choose your favorite hue, or mix it up for a playful look. These bowls also make for a lovely holiday gift. Handmade in America exclusively for Nourish™. Each bowl measures 8 inches in diameter. Dishwasher and microwave safe.